So, you and your girlfriends have decided to get your country music fix and head to Nashville for your bachelorette party. This is an amazing choice given that Nashville is a safe and clean city with amazing music, hot guys in cover bands, food, and alcoholic beverages. It offers every amenity you would expect to find in a big city, with some small-town southern charm that gives it some extra appeal for a group of woman. Did you know Nashville has been ranked as the #1 destination for bachelorette parties in the United States for the past 5 years? When booking your flights to Nashville for your epic girl’s weekend, make sure you fly into Nashville International Airport (airport code: BNA). You do not want to fly into Memphis unless you want to see Elvis’s house (Graceland) and then take a 3 1/2 hour car ride to Nashville. When booking flights we recommend using priceline.com as they always seem to have the best prices and availability. The best way to get from the airport to your hotel or rental house would be either a ridesharing service such as Uber or Lyft, rent a limo, or a taxi (around $25.00 + $1.00 per additional person after first). You will be about a 15-minute ride from the airport to the downtown area. 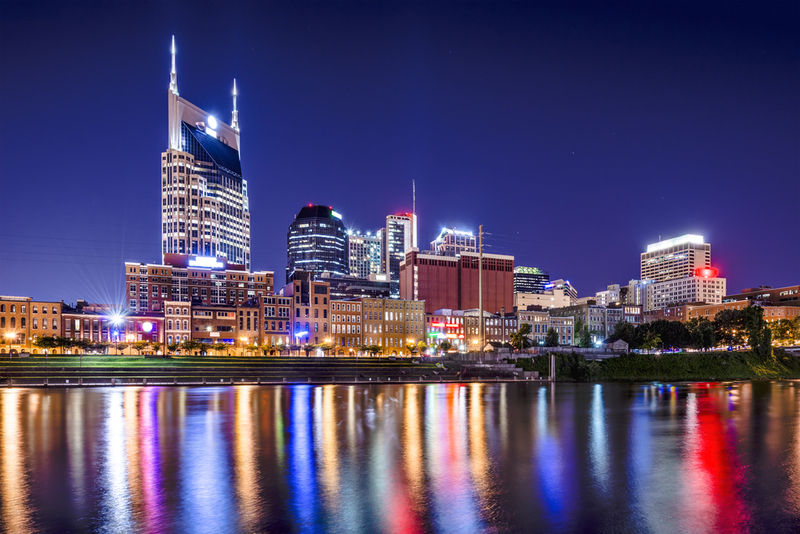 Once you are situation at your hotel or rental house, you will want to hit the town for some good food, amazing drinks (and moonshine), and live music (there is a reason it’s called music city). The best way to get around would be walking as everything from the Nissan Stadium (where the NFL Titans play) to the Bridgestone Arena ( where the NHL Predators play). All of the most popular bars and restaurants will be situation on broadway. If walking is not your thing you can always take a rideshare with Uber and Lyft. This will be especially helpful if you are going over to the Gulch which is not walking distance from downtown. Another popular option amongst bachelorette parties is to rent a party bus. You can get them in 4-5 hour slots and drink on the bus while you enjoy various stops along the way. There is also the local taxi service Nashville Checker Cab that you can call for pickup. There is always the option of renting a car, but that will only work if you have a girlfriend that is pregnant, lame, or in recovery, so that she can be the driver. The final option would be to reserve a bicycle tour. 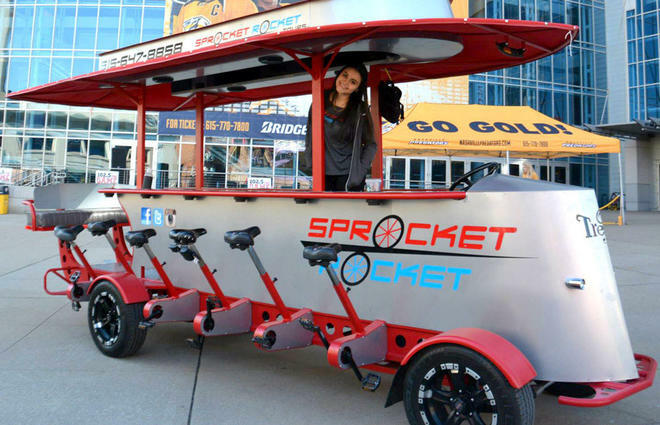 Bike tours are always a blast, and there is a reason that the Sprocket Rocket is Nashville’s number one party bike. These 16 people bikes feature professional bartenders, knowledgeable drivers, and motorized assistance to help you handle Nashville’s hills. The best part is you will make stops at various bars and you can drink on the bike while pedaling around town. Obviously, you are going to hit some bars while you’re in Nashville. May we recommend a drinking tour? Whether you bike, take a traditional party bus, or choose an open-air driven option, these party tours handle the transportation, help you keep your party safe and together, and make sure the party doesn’t stop. The Nashville Party Barge is a boat that goes on land and lets you and up to 9 other people travel around in open-air style. It is rated one of Nashville’s top tours and lets you bring your own drinks, while you see the sights. It is a great way to get off of Broadway and see the city, without having to worry about cabs or other transportation. Another new option added to the activity list could be Pontoon Saloon. This is basically You would need at least 20 passengers if you wanted it to be a private tour. If you do not have that many ladies in your group but still want to do this, you can but you will need to purchase a minimum of 20 spots ($35 per spot). If you do not want to purchase 20 spots or do not have that many people, you can join another group with no minimums required. Basically the pontoon rides up and down the Cumberland River for 2-hours. Your group could bring your own food and alcohol (beer and wine – no glass bottles) or you can step it up a notch and have the entire boat cruise catered. Either way this is a great choice for having some drinks with the ladies, getting your drink on, and seeing some of the beautiful Nashville scenery along the river. Pole-dancing is a new bachelorette party favorite and there are three venues offering group pole dancing classes in Nashville: Studio Goddess, Miss Fit Academy, and The Chrome Bar. You want to plan a party in advance, but if you don’t do that you might still be able to drop in on a class, depending on availability. Not only is a pole dancing class a great bonding activity, participants say they feel sexier, stronger, and healthier when they finish. Another popular choice for bachelorette parties is to book a spa day for the group. Mani-pedis, massages, facials are just some of the popular spa services groups often choose. Nashville has a number of great spas, and you can read reviews of some of them here, to help you determine which one works best for you and your group. Our favorite for bachelorette parties? Kiva Nashville Spa, because they handle big groups really well without ever forgetting to pamper and spoil the individual. Winery or vineyard tours are another popular choice, with Arrington Vineyards and Long Hollow Winery and Vineyards topping people’s must-do lists. You can experience wine-tastings and vineyard tours at these locations, in addition to seeing some of the beautiful Tennessee scenery, but beware, they are located outside of the city and will require transportation. Going to see male strippers or hiring an exotic dancer is traditional for some bachelorette parties. Nashville, unfortunately, does not have any strip clubs featuring male dancers. It does, however, have plenty of dancers who give private shows. Sensual Stripper is known for its good-looking and talented dancers. Partied a little too hard the night before? I Revive Nashville offers IV hydration for people suffering the effects of the morning after. It is the best hangover cure you will find and the customer service is fabulous. Nashville has a ton of entertainment options, and, being a music-city, live music is in abundance. What makes it great for bachelorette parties is that much of the nightlife is concentrated in a single area: a street named Broadway, which features bars that the locals call honky-tonks, though the feel of those bars might now quite live up to the image that phrase conjures in your mind. You can literally go up and down the street, into all of the various bars on Broadway, and have a great time, with a similar feel to Austin’s 6th Street. However, not all bars are created equal, so we will highlight some of our favorites. The Big Bang at 411 Broadway is a dueling piano bar. If you have never been to a dueling piano bar, you don’t know what you’re missing. The musicians take requests, playing music, the patrons sing along to it, there’s lots of dancing, some of it on the bar, and people just have a great time. Think of it as the best summer-camp sing-a-long you ever had, but with plenty of booze and hot guys at the bonfire with you. The cover charge is minimal and sometimes nonexistent, they serve hand-crafted artisan pizzas if you get hungry, and they have song request sheets that help you customize your bachelorette party. If your crowd is a little shy, it’s a great place to start your night. If your crowd is a little wilder, it is a great place to end your night, make sure you are all present and accounted for, and spend the last part of your night bonding. Layla’s Bluegrass Inn at 418 Broadway is a local favorite and that’s all because of the music. In addition to bluegrass, you can find rockabilly and country music here, depending on the night. There’s nothing fancy about the place; it is just a venue that prides itself on hillbilly music in a city that has become known around the world for its live music. You may not spot any already-famous faces on the stage, but don’t be surprised if you see some up-and-comers. When you leave Layla’s, head next door to 416 Broadway and Robert’s Western World. It might be the most Nashville place in all of Nashville. It is a boot store by day and a honky-tonk at night. Expect to find cold beer, good burgers, a mix of tourists and locals, and some of the world’s very best rockabilly music on the stage. Local favorite Brazilbilly is Robert’s house band and can introduce you to traditional rockabilly if you don’t know and love the genre, already. Acme Feed & Seed at 101 Broadway is not your typical Broadway honky-tonk, but it is not just a restaurant, either. Yes, you can get delicious food on both floors, and even some outstanding sushi, but it is also known for some amazing cocktails. It is not a place where you are going to go wild; it’s more the place you start out with your friends, have some dinner, have a drink or two, and get the feel for Nashville before you head out to hit the honky-tonks. That might make it sound sedate, but they offer some great low-key live music and wonderful brunches. Tootsie’s Orchid Lounge at 422 Broadway has been judged the number one honky-tonk in the world and one of the best bars in Tennessee, and we have to agree! From Patsy Cline to Kid Rock, music icons have played here and its been the starting place for some of the most iconic names in music history. If you’ve been to honky-tonks before, then you understand that drinking, music, dancing, and having fun are on the menu for a night at Tootsie’s. Lonnie’s Western Room, located at 208 Printers Alley, is the only bar not on Broadway that we feature, because Nashville transportation, especially for groups, can be difficult. However, if you love karaoke, imagine a karaoke bar in Music City. No wonder it’s been voted one of the top 10 college bars in the country. So, expect a young and fun trending crowd. Paradise Park Trailer Resort takes a tongue-in-cheek approach to the redneck stereotype that Nashville gets when compared to other big U.S. cities. Located at 411 Broadway, the aluminum siding on the building is a nod to trailers everywhere, and the kitschy décor is continued inside with an astroturf floor, tire chandeliers, lawn furniture, and a Mullet Hall of Fame. Don’t let the décor fool you; the bar stocks premium liquors and great beer, and the kitchen turns out top-quality American food. Nashville is a great town for food, but not really a great town for foodies. Expect to eat well and get plenty to eat, but don’t expect frou frou; it’s just not on the menu. For breakfast you must head over to Biscuit Love. This concept started out as a food truck and is now a brunch restaurant (not sit down, order at the counter). Expect to find a pretty long line to get into this spot, especially if you decide to head over after 9AM. Our favorite items on this menu are bonuts (fried biscuit dough) and the steak & eggs. Looking for the best burger in Nashville? Locals say you need to hit Brown’s Diner at 2102 Blair Blvd. This dive joint is known for a dark and smoky atmosphere, cheap food, and its delicious flavor. Food you must try here: cheeseburger and fries, Frito pie. Arnold’s County Kitchen, located at 605 8th Avenue South, offers some of the finest Southern cooking in Nashville. The service is nothing fancy, just cafeteria style, which the locals refer to as a “meat and three.” However, the food is top-notch, homemade from fresh ingredients. Food you must try here: roast beef, banana pudding, fried chicken, and mashed potatoes. The Loveless Café at 8400 Highway 100 might be the cutest little restaurant in Nashville. If you have ever wanted to visit one of the restaurants in a Fannie Flagg novel, then the Loveless Café is a must for you. It has a cute little on-site shop, delicious Southern Food, and a friendly feel that captures the best of Southern hospitality. Food you must try here: fried okra, fried chicken gizzards, fried pork chop dinner. One of the best parts about a Nashville destination bachelorette party is that it is affordable. You don’t have to be rich to have a good time in Nashville, and that affordability starts with accommodations. The Capitol Hotel offers clean, updated rooms, good customer service, and a location within walking distance of a number of attractions. The Omni Nashville is located next to the Country Music Hall of Fame and offers panoramic views highlighting the city. It also offers an on-site spa, making it a great lodging choice if you want to include a spa-day in your bachelorette activities. The Nashville Grand Sheraton offers the reliable high-quality service you expect from a Sheraton property, with a knowledgeable concierge that can help you navigate the city and a luxurious indoor pool. One travel trend that we really like is renting a house or a villa instead of getting a hotel. Your party gets to stay together, you have rooms that aren’t bedrooms so you can hang out without invading personal space, and you get more freedom to come and go. 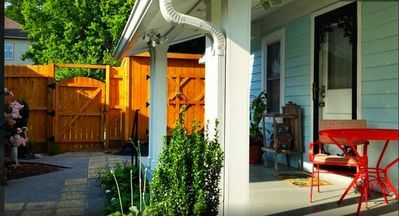 Airbnb and Homeaway both have a ton of great locations in Nashville, with wonderful reviews. The Tuxedo Townhouse is a clean and modern space that can sleep up to six and is within walking distance of Broadway. 1 BR Cottage, 1 BA, Sleeps 2, 500 Sq. 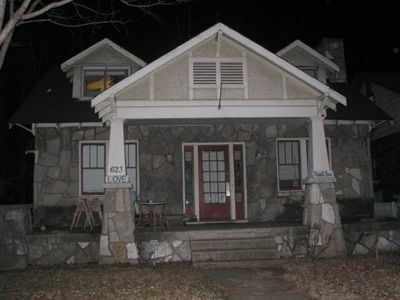 Ft.
2 BR House, 1 BA, Sleeps 5, 668 Sq. Ft.
Nashville gets cold in the winter, so April to October is considered the prime time to visit and the most expensive for flights / hotels. Winter is the low season in Nashville, with accommodations and flights far less expensive than they are during the warmer months. However, don’t let the cold scare you away. Nashville is gorgeous around the holidays and the weather, while chilly, is manageable. 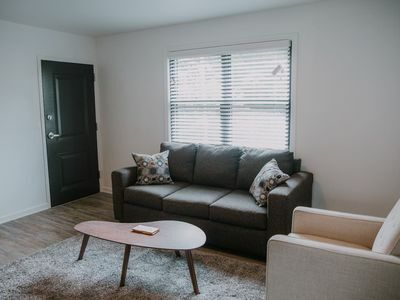 Plus, because Nashville is affordable, don’t rule it out until you have looked at prices for your desired weekends; they are probably less expensive than you are imagining. Something about bachelorette parties makes women want two things: goofy party favors and long-lasting souvenirs. Amazon has a ton of options for bachelorette parties, so head over there and start your search. Whether you are looking for party favors, or even group outfits, they have it all. If you sign up for Amazon Prime you will get 2-days shipping on all prime eligible merchandise. Nashville, especially for ladies, is inexpensive. Cover charges are minimal; in fact many places are free and most covers are going to run less than $10/per person with no minimum drink purchase. Drinks are reasonable; probably cheaper than what you are used to paying at a bar if you live in a major city, and about what you would expect at your local watering hole if you don’t. So you read most of this article and you still have questions about planning the girls weekend in Music City? Post a message on our forum and ask any question you heart desires. Another member from our community or staff will provide you a detailed response. Already been to Nashville for your bachelorette party and have some tips, reviews, or suggestions? Please post those to our forum as well, which will help other bachelorettes plan their crazy weekend. There is always something going on in Nashville, even during the low season. Some of the big events include: the Wild West Comedy Festival; Pairings: Nashville’s Ultimate Wine and Food Festival; Bonnaroo Music Festival in nearby Manchester; Jefferson Street Jazz & Blues Festival; Music City Food + Wine Festival; CMA Music Awards; CMA Country Christmas; the Iroquois Steeplechase; Music City Irish Fest; and New Year’s Eve in Nashville. Some other great ideas for your Nashville trip would be to get t-shirts made for your entire bachelorette party. Some recommendations for this service would be Zazzle. Remember you need to give them some time to design, print, and mail the shirts to you. We recommend placing your order at least 45-days before you are scheduled to arrive. If you want to get fancy you can send out bachelorette party invitations to your entire group. There are plenty of options available included ones that are already designed for Nashville. Planning a scavenger hunt while bar hopping on Broadway seems to be popular amongst groups that head to the Music City. If you are looking for some great ideas on how to plan this fun bachelorette party game in Nashville, check out our article on bachelorette party scavenger hunts. Remember to purchase travel insurance with your trip to Nashville. 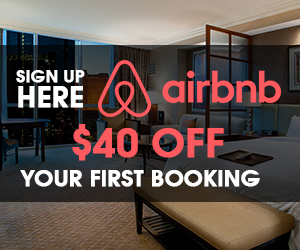 For as little as $45.00 per person you can protect a trip of up to $1,000. This will cover you for delayed flights, missed flights, lost baggage, damaged baggage, severe weather, illness (before trip or during), and much more. Planning on booking a bachelorette party trip to Nashville? Send us an email with all your details. We work directly with the city’s best nightlife venues, hotels, and promoters to help you arrange the best possible weekend. Some of the things that help make a bachelorette party awesome can be difficult to book for larger groups unless you plan well in advance, so let us help you find that spa, the perfect brunch spot, and a great villa to rent to take your party over-the-top. In conclusion, Nashville may be the nation’s best kept party secret. It is a place for music lovers and great live music is available every night of the week, which means that great bars are open every night of the week. The city is friendly, surrounded by gorgeous green space, and has more of a big-city feel than college towns that have similar bar scenes. Perhaps best of all, it is affordable. No matter where in the United States your guests live, travel to and from Nashville is generally inexpensive, and hotel rooms, food, and drinks are probably going to be less expensive than in your home town. Plus, because it is still a relatively hidden gem, you get all of the highlights of a trip to a better-known party town like Las Vegas without having to deal with all of the crowds. 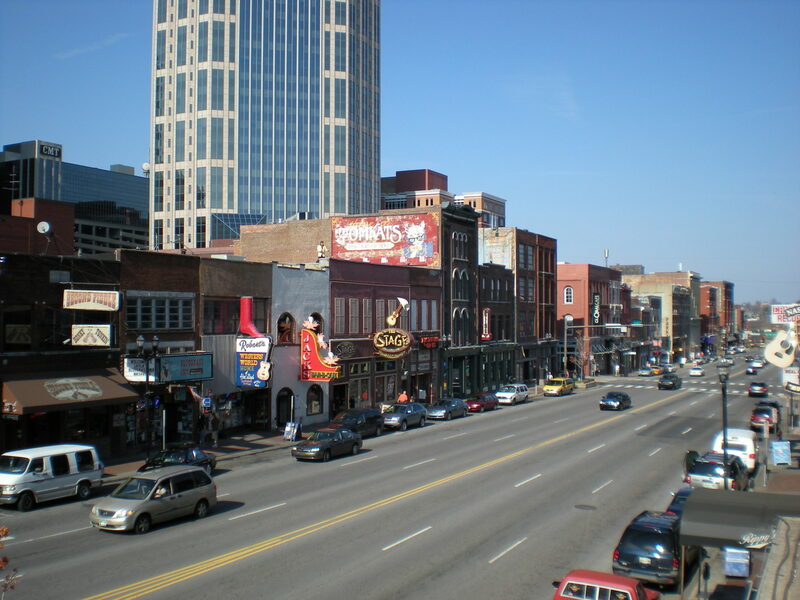 Combining all of this you can easily see why Nashville has been the top bachelorette party destination in the U.S., for the past 6-years, and now even bachelor parties in Nashville are on the rise.